Simply print and copy these pages for your students to make a super cute "Pumpkin Halves"craftivity! The template pieces can be printed on color paper, or print them on white paper and ask your students to shade/paint them. 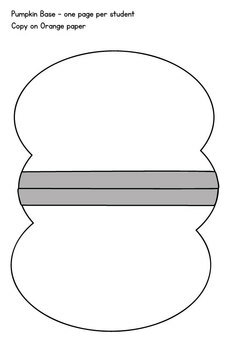 Add crafty details if you choose, to make this a more complex activity for your students. 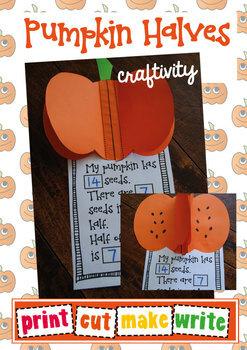 Perfect for a "pumpkin" "fractions" or "Fall" themed unit! We have included a writing prompt for this craft, where students can record how many seeds are on each side of the pumpkin to reflect their learning about halves!